Is Your Business Considered a “Small Business”? If your company is involved in government contracting, it’s important to know whether your business is considered a small business. This designation is determined by the Small Business Administration size standards. While many business owners do not know how to determine what their firm’s size is according to these standards, it is very easy to find out. While these benchmarks can give you a general idea of where your company fits, it’s better to determine the exact small business size standards for your company. First, determine your annual average gross receipts over the last three years and your annual average number of employees over the past 12 months. Next, determine your company’s primary NAICS code. Finally, look up your primary NAICS code in the SBA’s “Table of Small Business Size Standards Matched to North American Industry Classification System Codes”. This table lists all the NAICS codes along with the maximum dollar amount (in millions of dollars) and/or number of employees allowed for the firm to be considered a small business. 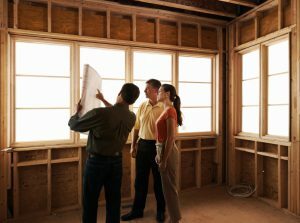 For example, a general contracting company may select the NAICS code 236115 for New Single-Family Housing Construction (except Operative Builders) as their primary NAICS code. When you look up this code in the table, the maximum size standard listed is $33.5 million. This means that if the company has average annual receipts of $33.5 million or less, they are considered a small business. Another business that sells new vehicles may select the NAICS code 441110 for New Car Dealers. If this company employed an average of 200 employees or less over the past 12 months, they are considered a small business. When a firm completes their SAM registration, the size standards for all their NAICS codes is calculated automatically, based on the information provided. This is why it is extremely important that accurate and complete data is entered into SAM. Knowing how to determine your company’s size is a great way to verify this designation yourself and check for errors. for revisiting. I surprise how a lot effort you place to make such a wonderful informative website.